I had hit the panic button and I knew that was not going to do me any good. So, I did the smartest thing ever and called up my cousin Andrew who has been with Chillibreeze for more than a year. He had some useful tips to get me going. Those tips helped me prepare. My efforts paid off! I am now part of Chillibreeze! Are you willing to work for your spot in Chillibreeze? If yes, then get ready to learn. I am sharing a few helpful tips that you can use to prepare for an interview in Chillibreeze. The quickest and the easiest way to learn anything in today’s world is through the internet. All the information you need to prepare for the interview is a Google search away! 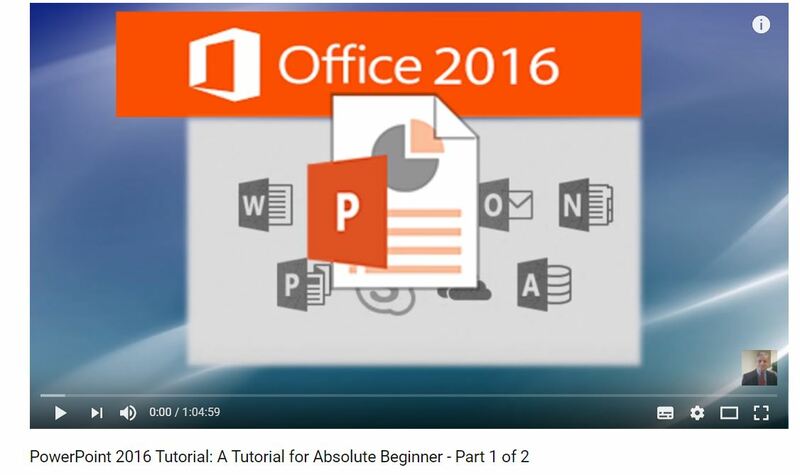 If you are someone who learns fast through visuals then YouTube is the right platform for helpful tutorials about PowerPoint. So, how do you go about it? What are the steps you should take? The first task is to figure out the right search term (keyword) to use. Entering the right keyword is very important when you want to find anything on the internet. So, go ahead and describe what you want to do and YouTube will deliver. 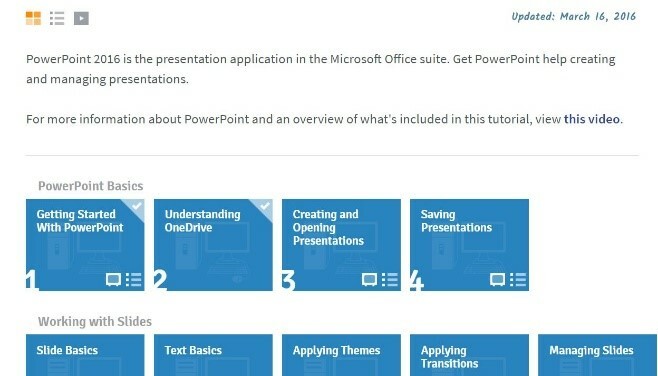 For example, I typed in ‘learning PowerPoint 2016’ and with Tutorial for Beginners in PowerPoint, I was soon well on my way to becoming familiar with the basics in PowerPoint. Going through this video will give you a good understanding of the basics of PowerPoint and what you can achieve with the tool. Lynda is the perfect platform for beginners in all professions. The lessons from Lynda are both visual and in words, i.e., available as transcriptions. If you are a subscriber, then you can access all their educational training videos. Once you have done the course you can at some stages during a course take a skill test to test how well you are doing. There are plenty of websites you can use to learn PowerPoint on a theory level. If you are someone who can learn fast by reading then you can go to GCFLearning. It has a section dedicated to Microsoft Office tools learning. Select the latest Microsoft tool, which is Office 2016. It has all the basics you need to know about the tool. The lessons on PowerPoint are marked numerically which makes it very easy for beginners to learn. If you are planning to apply to Chillibreeze, then you should know what you are getting yourself into (just kidding!). Start by doing a little digging about the company. And how do you do that? We have made it easy for you. You will find that the Chillibreeze website has all the information you will need. The establishment of the company, how they cater to customers and the type of work they do. When you scroll to the bottom of the Chillibreeze page, you will find links to sections such as Services, About the Company, Chillibreeze Stories, History and so on. I learned a lot about Chillibreeze by going through the resources pages. It was captivating to read about the company’s purpose, guiding principles and Chillibreeze Stories. Let me tell you why knowing all this is important. The knowledge I gained from all the reading on the Chillibreeze website proved to be very useful for my first interview. I felt I knew the company culture well and was able to assess what it would take for me to fit into a career in a company that functions on well-defined core values. The knowledge helped me be confident during my interview. You don’t need a certificate to show you have completed a PowerPoint course to get into Chillibreeze. If you share the company’s values and are willing to learn.